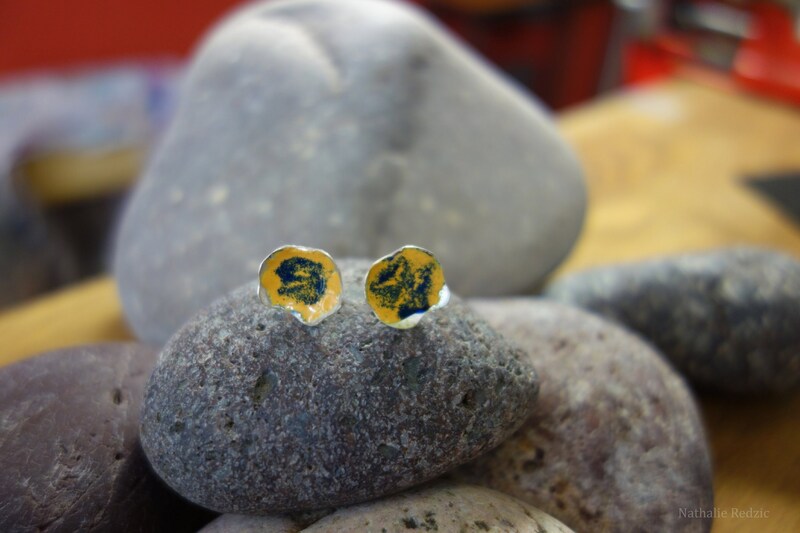 Earrings in irregular silver enameled. For girls and women. Pair of earrings of silver 950/1000 chip type. They form a corolla slightly rounded and irregular. 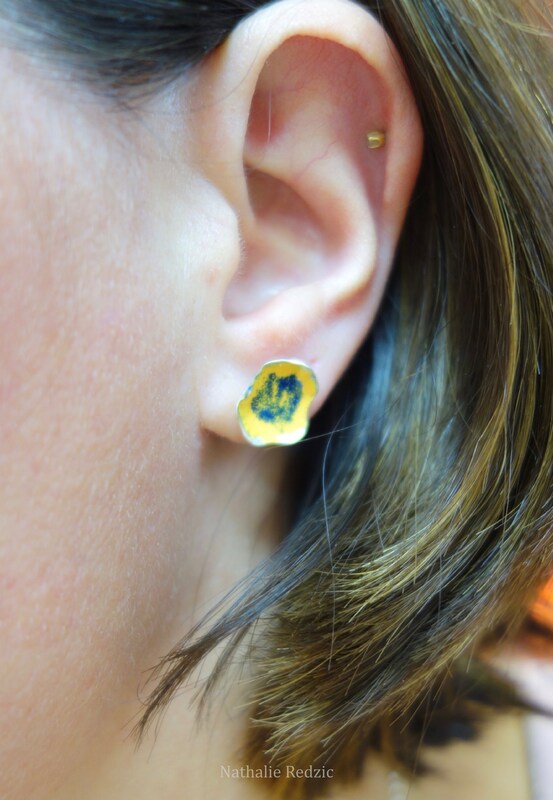 These earrings are enameled with multiple firings of enamel, the main color is yellow with dark blue abstract pattern. 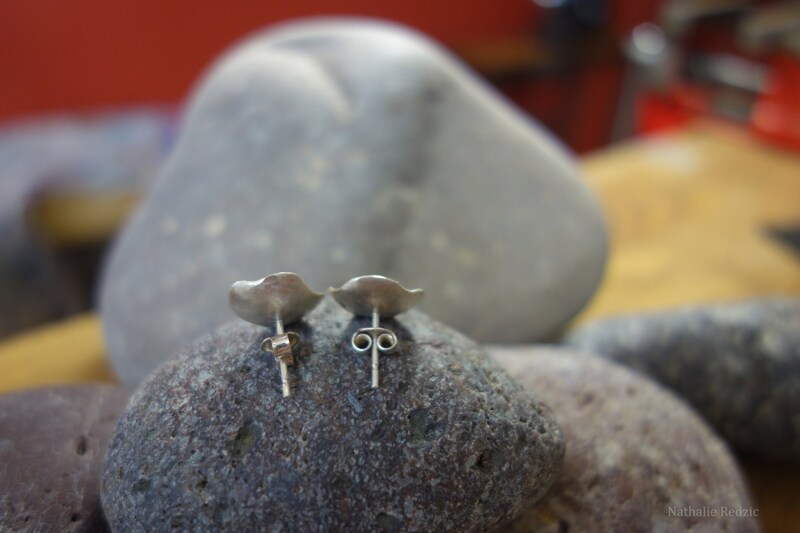 These earrings were entirely by hand in the workshop in one piece.